Nothing about her latest objective suggests the secret it conceals will turn her life - not to mention the entire galaxy - upside down. 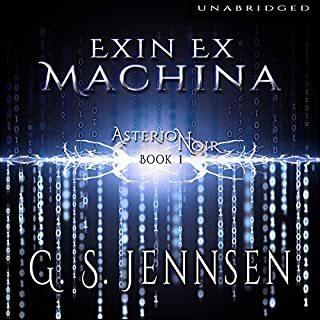 But a chance encounter with a mysterious spy leads to a discovery which will thrust Alex into the middle of a galactic power struggle and a sinister conspiracy, whether she likes it or not. This was a very good read, fast-paced with very good tech, a good and interwoven storyline with excellent twists and turns. I am looking forward, impatiently, to the next sequel. Before buying Starshine I read a number of reviews, one that caught my attention classified the book as "A Science Fiction Bodice Ripper". At first blush, I would have agreed with that, but then I realized just how chauvinistic that opinion was. Yes, the book contains the typical amount of requisite sexuality. But to call it a Bodice Ripper simply because it is presented from the Estrogen point of view rather than from the usual Testosterone perspective is indeed simply chauvinistic. OK, she's a bit obsessed with his "strong jawline" but how is that really different from the typical male author's obsession with her shapely figure? Actually I found the turnabout of sexual perspective refreshing and it added a great deal of depth to the characters. The science fiction genre has been overwhelmingly male-dominated for a loooong time. I am happy to finally see more female authors. I love the sci-if genre but I've got to be able to relate to it better as a woman to really enjoy reading it. This book has a strong , independent, smart female main character. Yes, there is a prominent romantic element in this book. Does that make it a weak book worthy of some of the crappy ratings it's getting here? No! The plot extends far, far beyond the love interest. I hesitated to read this book for too long. I let the ratings talk me out of it until I read the reviews which, led me to realize there is some serious gender backlash happening within this genre. Understandable, I suppose, but annoyingly skews the ratings. Sure, you still may dislike the book for some other reason. But I highly suspect that the romantic element of this book was a major detraction for some readers. 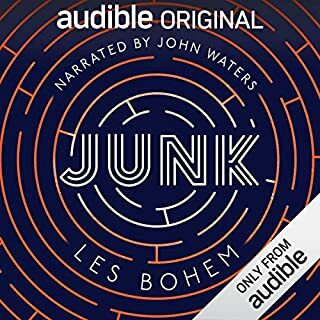 The story is pretty good, but I couldn't even focus on what was being said because of how terrible the narrator's performance was. The different accents were terrible and inconsistent. She sounds like Siri- ending every word with a period except the final word in a sentence. I've never given a bad review before, but figured I should share my experience. Just awful. I bet reading this book rather than listening to the audible would've been a much better decision. The narrators voice was either recorded or rendered in a droning quality, after the first 5 minutes I already felt annoyed at the way she sounds. 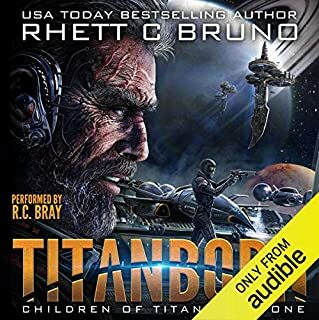 I guess this is a very subjective thing but in an audiobook the voice _must_ be intelligible and free from quality issues. Would you listen to Starshine again? Why? I give this rating having read all the books, so I am biased towards the series. I loved the first book. I loved the narration. But each book is better than the last. For this book, it took until about 30% in until I really got into it, mostly because I don't usually like politics in my books. Well, I'm a frickin convert now. These books have everything! and this starts it all. What other book might you compare Starshine to and why? I sort of get a babylon 5 feel to it at times, but it doesn't follow the same path, just a few things that are similar. I purposefully paced myself with this book just to draw it out. It's rare to find such an incredible scifi novel that not only has a strong female lead but also other strong female characters as well! Woohoo! 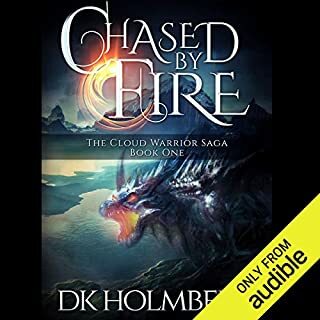 The character development is well written and the novel kept me on the edge of my seat so to say and I couldn't stop listening to it. The good stuff first. It's a good story. I won't say it isn't predictable in places, some of them significant. But that doesn't detract a great deal. The story is fun and moves along. I am not going to do spoilers so I'll leave it at that. I think I will be buying the next one too. The English... well I need to check the written word against the audio version. "Crumbled to the ground"? Really? Not crumpled? There were quite a few things like that. Then there are the anachronisms. Things taken from a Valley Girl lifestyle today. "She grabbed 'a water' from the fridge". In the future we are still stupid enough to pay more for water than for gas? At one point one of the military commanders sounds like she's got a yoga mat under one arm and a bottle of designer water in the other. Really. And odd pronunciations. Pyper doesn't strike me as someone who swears much, or she'd know how to do it. And then there's the odd spacing "street-rat hacker" gets read as "street rat-hacker". Who hacks rats? That happened all the time, it was a continuous distraction. Our heroes are supposed to be adults? They sound like they are 16 and 17. At times they remind me of my brother and his girlfriend in high school. And the accents? Was that supposed to be Scottish? Oh, Irish. Well OK. Perhaps Pyper could pay attention next time she is listening to a Mick? And is that French? That French accent reminds me of the outrageous French accent of the British secret agent in Allo Allo. That is not good. But at least it was consistent. The worst part is... well why would you read a military commander, the head of a massive galaxy spanning navy as a Valley Girl. Fer shure? Why would you read a decisive military commander's address to their forces like some pathetic HR address to people you are trying to con? Really. Listen to some military folks. There are female military commanders. They don't sound like HR dweebs or valley girls. I guess this book has something for everyone. If you remember the steamy romance novels on check out stands and never read one, you will get your fill here. If you like interesting and speculative science, it's here. 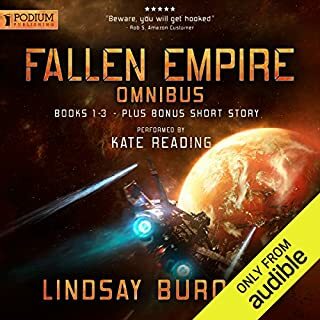 If you like the idea of an above-genius level young woman (multiple masters degrees in multiple hard science disciplines) successfully defending her spaceship against an enemy spec op agent who is trying to kill her, this is for you. If you like the same young woman falling in love with her spec op guy, this is for you too. If you like spec op guys who can kill 4 armed guys in under 2 seconds with a knife and his hands, its here for you.The character development is generally excellent. The plot trajectory is predictable while the individual elements are interesting. I did not like the heavy-handed romantic development between Caleb and Alexis (Alex to her friends). I think Ms. Jennsen could have made a good book much better by being more nuanced. In any event, the book is worth the listen. Warning: Do not listen if you do not like being shot off of a cliff at the end. Obviously, there is more to come and all of the plot threads opened here will have to be closed eventually. 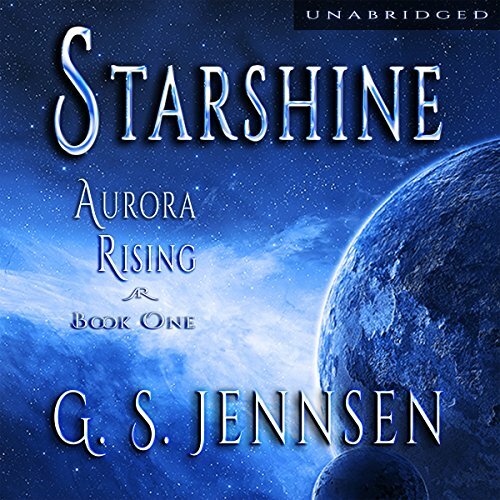 Would you consider the audio edition of Starshine to be better than the print version? Not sure. 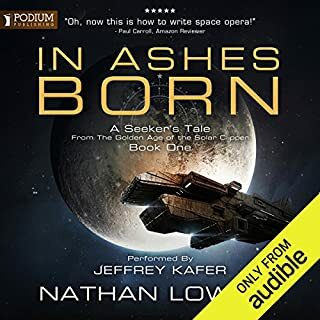 I haven't read the print edition, but the audiobook edition was so well done that I'm going to buy a print version. What was one of the most memorable moments of Starshine? Caleb. All of Caleb. Caleb, Caleb, Caleb. What does Pyper Down bring to the story that you wouldn’t experience if you just read the book? I've truly never heard a narrator with such a wide range of vocal talents. At first I heard the little sample and thought, "Er, is she a robot?" But after five minutes I was totally convinced that she's one of the most talented book readers ever, ever, ever. She MADE this audiobook fantastic. There was one part I started clapping. (Chapter 47. If you've heard it, you get it.) Because . . .Caleb. I loved this whole experience. It got me through 1250 miles of driving, and I've still listened to parts of it since. I'll probably listen to the whole thing again, and I'll definitely buy the print version AND the next book. If book 2 is an audiobook, I'll also be buying that. Not since Jeffery Carver's "Chaos chronicles" have I been taken on such a ride! Slow to start like all books, but the author weaves a rich universe full of likable and memorable characters. A few moments in there that make a grown man blush....but a little action and lots of well written tension and intrigue. I thoroughly enjoyed it and cannot wait for the sequel! I look forward to reading more from this author. I'm having real trouble listening to the narrator of this book (Pyper Down)...the character parts are read really well but the rest of the book is delivered with the interest and depth of a text-to-speech converter....I will give it a few more chapters but I might have to end up buying the paperback book and reading it myself. Basically a romance sci-fi. Plot moved slowly. lots of time spent on emotions and describing the look (of longing/etc etc) in someone's eyes. Besides that it's wasn't terrible. Oh sounds like sirie (computer voice) is reading. Great story, well put together. The voice actress struggles abit with swapping from male to female voices but doesn't ruin the atmosphere. The story may or may not be a good one. The narrator’s monotone voice was so off-putting that it reduced my interest in the storyline. I eventually decided to no longer invest another 14 hours. Intelligent female perspective of a space romance. Following characters during the initial setup requires a bit of concentration. I stopped half way through to write this review because It started to feel too emotionally overbearing for me. Explaining all the little intricacies of a budding relationship between two intelligent, stubborn, alphas who should almost be enemies, went just a bit too far to hold me. Storyline was detailed and consequences for characters decisions explained but there was nothing that made me feel right in there beside the characters.